is situated in the Buckinghamshire countryside near Jordans Village. 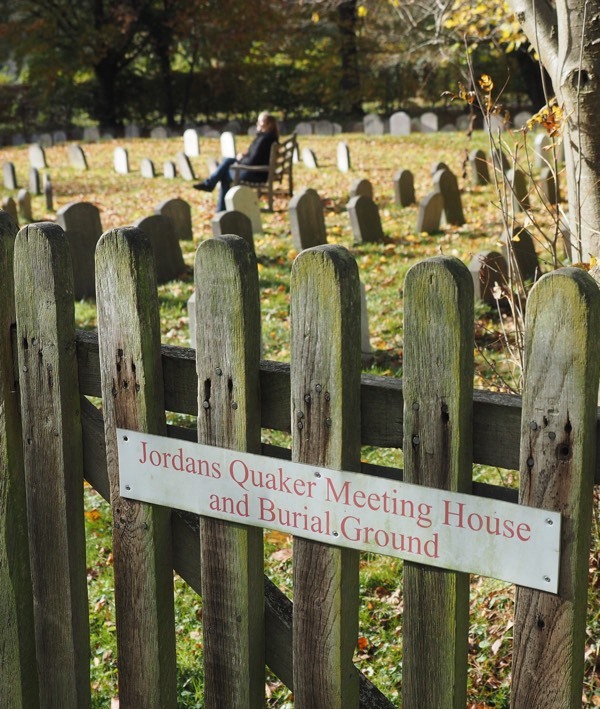 It is adjacent to the historic Old Burial Ground at Jordans Quaker Meeting House where William Penn and some of his family are buried. It is a beautiful, serene place surrounded by trees and fields. The graves are set in a lawned area bordered by a natural edge of trees and flowers including snowdrops, daffodils, violets, primroses and bluebells. In Autumn the trees are clothed in beautiful colours and there is a productive apple tree. The burial ground is open throughout the year and is administered by volunteers from 3 Area Meetings.